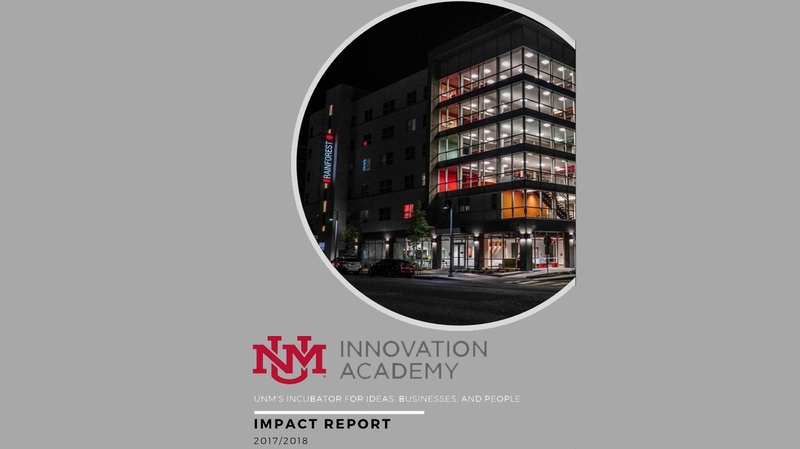 UNM’s Innovation Academy (iA) recently published its 2017-18 annual impact report, illustrating the positive impact the academy continues to have on students at the university. The 20-page report outlines the Innovation Academy’s programs and their successes from the 2017-18 school year. The report showcases the academy’s exponential growth, going from 14 student-run companies in 2016-2017 to 36 in 2017-2018. Additionally, programs including the 2+1+2 Program, a partnership with CNM to provide a pathway to a graduate degree for community college students; the first-ever Tech Navigator Challenge, an 8-week contest where students worked to commercialize technologies from national labs; and the annual pitch competitions, an opportunity for students to win seed funding for their business or product ideas are highlighted. DelCampo says the Innovation Academy plans to continue its growth and offer more support to students seeking a way to integrate innovation, creativity and entrepreneurship into their degree programs at UNM. The report is available on the Innovation Academy website.